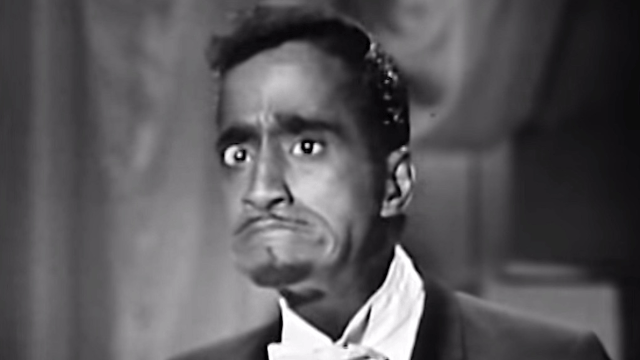 Sammy Davis Jr. also read the wrong envelope at the 1964 Oscars, but played it off much better. The Great Envelope Switch of 2017 is already a huge moment in the annals of Oscar history, as La La Land's three minutes of Best Picture glory were quickly revealed to be a mistake. But this wasn't the first time that envelopes got into the wrong hands! The Oscars suffered a similar screwup in 1964 when Sammy Davis Jr. (almost as big a jazz legend as Ryan Gosling) presented both the awards for Best Score (adaptation or treatment...those categories are now one). Davis Jr. was given the wrong envelope when announcing for Adapted, revealing a spoiler for the next award. He played it off in a hilarious, playful, very Sammy Davis Jr. way. "They gave me the wrong envelope? Wait until the NAACP hears about this," he joked, before treating the audience to his repertoire of facial expressions. While the La La Land/Moonlight incident was an embarrassing snafu, Faye Dunaway and Warren Beatty are in great company.